Yesterday is history, tomorrow is a mystery, today is a gift, that is why it is called a present. I spent most of the day grappling with my inner self. Questioning my gut and feeling very lost with what direction my daughters life should travel. In the last 3 three years I have had to make so many huge life decisions. In the moment it all seems so overwhelming but after seeing the results of following God lead and the amazing people and healing each of these decisions have brought it is absolutely priceless! This morning a few things happened that made things a ton clearer but still not much easier. Tonight after a full day, I picked up the phone and called a good friend that has a teenage son with CP. She always has so many good ideas, amazing faith, and has a ton of life experience I do not possess. Tonight I am excited. We have a lot going on and more in the works! 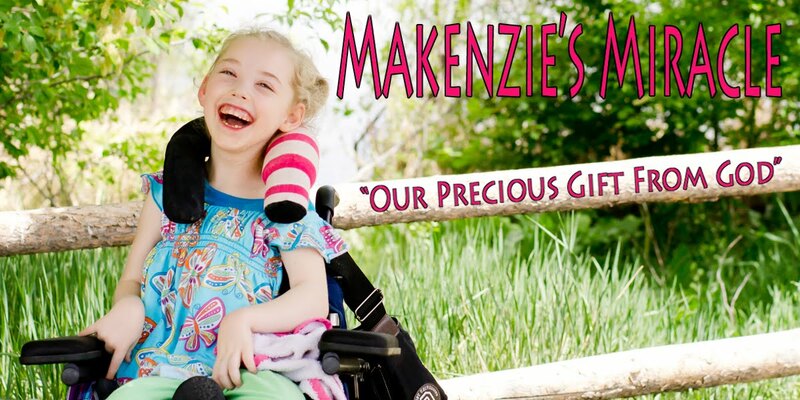 Makenzie is doing so well and I can't wait to see what is coming next! God is so good! In the midst of every trial we face in life, how good it is to know that we do not have to fear, but that we can face every situation with power and love and a sound mind. How we thank you, Lord, that you can give us the tools we need to overcome fear. Yet, Lord, there are times when we look at our situation and can become fearful concerning the decisions that need to be made daily in regards to Makenzie's healing. Lord, we ask that when fear or anxiety grips us, that you would minister to us in a deep way that would cause us to see the situation with a sound mind, and give us the ability to see your hand at work, even on the most difficult of days. Lord, we thank you that when we are feeling fearful, anxious, or uncertain that you will meet us where we are and minister your comfort and love to us, and that we would once again regain our hope for the future.